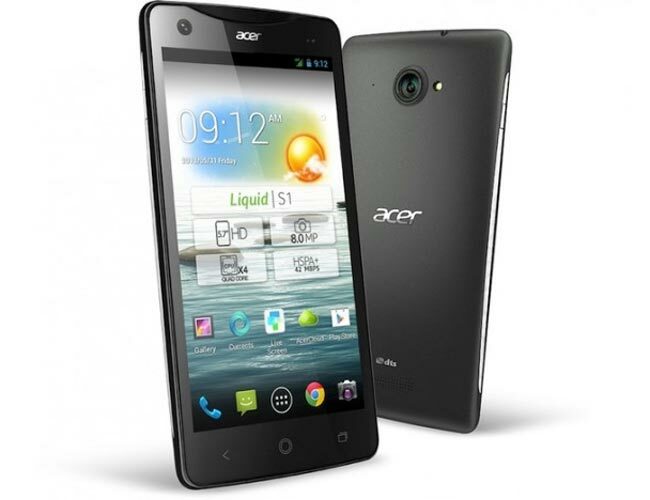 Acer is the latest company to announce a ‘Phablet’, the new Acer Liquid S1 which comes with a 5.7 inch HD display that features a resolution of 1280 x 720 pixels and comes with Android 4.2 Jelly Bean. The Acer Liquid S1 is powered by a quad core 1.5GHz processor and also comes with 1GB of RAM, it will be available in a choice of a single SIM or dual SIM versions and will feature 8GB of built in storage. Other specifications on the Acer Liquid S1 include a 12 megapixel rear camera for photos and video and a front facing camera for video chat, it also features a microSD card slot that can take up to 32GB cards. The Acer Liquid S1 will launch in Europe in quarter three and will retail for 349 Euros, it will be available in France, Belgium, Netherlands, Ukraine, Russia, UK and Germany, followed by Spain and Italy, there are no details on a US release date as yet.